Home→How To Get Rid Of Fleas→Best Way To Kill Fleas-What Is It? 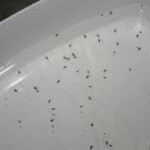 Best Way To Kill Fleas-What Is It? Anyone who has pets has asked this question at least once! What is the best way to kill fleas? These little buggers are extremely hard to get rid of of, but not impossible! 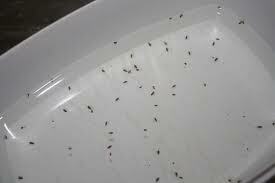 To kill the fleas in your home or on your pets you’ll need to treat and clean every place that the fleas could be. 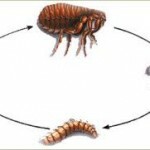 Understanding the flea life cycle will help you realize why you should complete all of the following steps to kill the fleas. If you don’t attack all the stages of the flea, they will come right back in a week or so and probably a lot worse than before! 1st: Treat your pet for the fleas. This is the most important step in killing the fleas. Our pets are the fleas transportation from one spot to another. 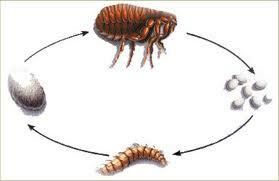 When the flea lays eggs, they fall off their host, our pets, wherever they walk, sleep or play. Follow the links below to get step by step instructions for your pets flea removal. wherever your pets have been to eat, sleep and play, the flea eggs have most definitely been left behind to grow and hatch. You can follow the link below to find step by step instructions to get rid of the fleas in your house. the fleas to begin with. Fleas love the dirt and sandy areas of yards and our pets for some reason seem to gravitate to the same areas. You can find step by step instructions to treat your yard for fleas below. I know it sounds overwhelming when your reading everything that you’re going to need to do for a little parasite like a flea, but these little critters multiply like crazy and fast! If you take the time to treat all areas of your home, it will be well worth it. Not only will you and your pets be more comfortable but healthier as well. If you have any questions or comments please leave them in the comment box, we’d love to hear from you and all questions and comments will be answered within 24 hrs! 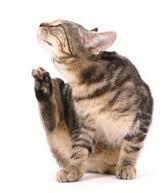 You can read about some home-made flea remedies to start killing the fleas.